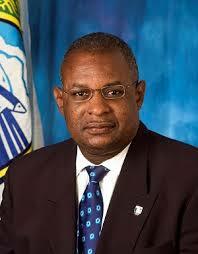 Erskine Simmons – Secretary General – Barbados Olympic Association Inc. In addition he has served as General Team Manager to the 1987 Pan American Games in Indianapolis, USA, the 1994 Commonwealth Games in Victoria, Canada, the 1988 Seoul Olympics and the 1992 Barcelona Olympics. In 1994 he was the first Barbadian to participate in the International Olympic Academy’s Young Participants Session in Olympia. He has been twice nominated for National Sports Council awards and was the recipient of the Sports Administrator of the Year award in 1996. In 2000 he was awarded the International Olympic Committee’s “Sport and Universality” trophy. Mr. Simmons was recently appointed to two government statutory agencies namely the National Sports Council and the Sanitation Service Authority where he serves in the capacity of Deputy Chairman.